Happy New Year from Aviary! New Year’s – a time when as individuals and companies we pause for a moment to consider why we’re here, what we do, and how we do it. At Aviary we strive to inspire people to play with their visual world – by giving them the magic to re-imagine, reinvent, reshape, and share what they see. Aviary believes that if we are more tuned in to the world we see around us – and if we express our individuality, perspective, and sense of humor through the images we create and share – then stronger bonds and connectivity will be built. Obama building stronger bonds and connectivity. 2013 – the year of the #selfie – was full of good times for Aviary. We helped millions of people across the globe play with their own visual worlds using Aviary’s photo editing technology. Those experiences happened in many places: in one of our own-brand, Top-10, mobile photo apps; or in one of thousands of partner apps utilizing Aviary’s SDKs. But wherever the magic happened, we’re delighted it happened with Aviary and we hope you enjoyed it as much as we did. We can’t wait to get started on 2014 – to bring to Aviary’s magic to even more people in even more ways. But we thought it would be fun first to reflect on 2013 and share some insights on what is now, undisputedly, a global photo phenomenon that we are all part of (including The President). It's estimated that 500 billion photos were taken in 2013, and this might balloon to some 880 billion in 2014. That’s more than 10 photos for every person on the planet. More than 1% of this massive number of photos is edited with Aviary. 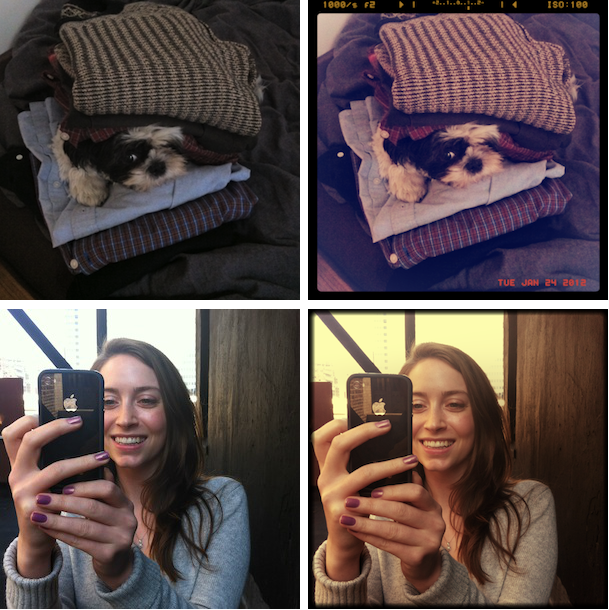 A staggering 6 billion photos were edited in our mobile apps, or in partner apps using Aviary’s SDK, in the last year. In November 2013, 70 million people edited photos with Aviary. That’s up from just 25 million people in November 2012. Our own-brand app – Photo Editor by Aviary – grew like wildfire this year. On Android alone we jumped from 1.6 million MAUs at the end of 2012 to over 10 million MAUs now. Photo Editor by Aviary was also recognized by both Apple's and Google's "Best of 2013" lists. At the same time, our partner network grew to almost 7,000 strong. Many of them – including Tango, Walgreens and Pic Stitch – also made Apple’s Best of 2013 list, which was a real thrill. But perhaps the most telling trend is the diversity of apps that have joined our partner ecosystem this year. We’ve seen an explosion of interest beyond photo apps – which were the majority of our partners previously. In 2013, we found ourselves (and our SDK magic) happily tucked inside increasing numbers of messaging apps, social apps, commerce apps and many more. Unquestionably, photos have become the communication language of the mobile generation. We are long past the point when photo editing was just about turning an average picture into a good one. Photo editing is now about enhancing visual communication between billions of people across the planet, in a way that embodies the full richness of emotions, feelings and inspiration. That range of expressive possibilities is driving a huge increase in the volume of photos shared to social networks, as well as the increase in diversity of sharing destinations. In November 2013, 8% of photos shared from Aviary’s apps were shared to Facebook and 8% to Instagram – reasonably consistent with percentages in 2012, but at massively larger volumes. However, in that same period, 7% of photos were also shared to WhatsApp – which barely registered with us this time last year. A picture is worth a thousand words, and apparently now almost as many messages. Meanwhile, in December, users shared to over 350 different social networks from Aviary's apps. Mobile photography is truly social. In 2014 we expect that Aviary’s magic will continue to attract new, diverse partners to our ecosystem, and that users will continue to share their edited photos, touched with that same Aviary magic, across new platforms that haven’t even been launched yet. For a great visual of this social sharing activity, search for “#Aviary” on Twitter and enjoy the edited photos flowing right there in the stream. It's a powerful way to see how people all over the world are acting on the same desire to capture and share a moment of their lives, and communicate it just the way they want to. At Aviary, we’re constantly driven to find new ways that inspire people to play with their visual world. For example, we put a lot of love this year into developing new creative photo editing functionality – such as Color Splash tools and Tilt Shift. Likewise, we regularly release a flow of new content to help people re-imagine their pictures – such as beautiful filters, frames and fun stickers. Our roadmap is even fuller for 2014. But how are people using these tools and content? Within Filters specifically, we’ve also seen shifting trends. Whereas in 2012 our most popular filters had a retro vibe, 2013 has seen the adoption of more modern, vibrant effects. Bright filter packs like “Wanderlust” and “PopArt” are big hits, but at the same time arty effects like “Shadow Pro” consistently rank highly in our most-used charts. 2013 also saw the rise of photo editing as craftwork. Our “Craftmas” sticker pack – perfect for turning mobile photos into home-made cards and gifts – was one of the biggest hits of this holiday season. We were also excited to roll out two new content-related offerings in 2013. Additionally, we soft-launched Aviary Branded Content as a way for brands to connect with our massive network audience in highly engaging, photo-centric ways. Brands like Gap, RedBull and Disney jumped onboard this year. RCA records got in on the act too, offering Kelly Clarkson fans a range of holiday-themed filters, stickers and frames to celebrate her platinum album “Wrapped in Red”. As the photo phenomenon goes global, so do we. When we redesigned Photo Editor by Aviary for iOS7 in September, it quickly became a Top 10 App in Apple’s “Photo And Video” category in 67 countries. Meanwhile, our SDK was downloaded for integration by app developers in 143 countries this year. While the top five most active countries for SDK downloads were somewhat expected – USA, India, China, Brazil and the UK – by looking deeper into our top 20, you can paint your own picture of a photo-obsessed planet. From Vietnam to Mexico, from Japan to Germany, the diverse number of apps being built around the world with a little bit of Aviary magic is incredible. It's a visual United Nations. And our internationalization goes far beyond the must-have translations for tools and functionality (we support 23 languages at this point). Just as written and verbal communication is different everywhere, visual communication is equally localized. This means that the Filters, Frames and Stickers we create for people around the planet has to reflect the norms, styles, visual cues and iconography of different cultures. Our Japan launch was the most distinct example of this approach – with our Japanese app now chock-full of Kawaii stickers and Purikura packs. We’re also excited to announce that our next Photo Hack Day will be taking place in Tokyo, co-hosted by our long-term friend and partner Mixi. In conclusion, 2013 has been an incredible year for photography – and for Aviary. We can't wait to get started on 2014. We’ll be moving into a brand new office space in New York’s East Village in February, and we’re hiring like crazy. So if you want to inspire people to play with their visual world – and work with us to give everyone the magic to re-imagine, reinvent, reshape, and share what they see – then check out our jobs page and please apply! Some offices do "Secret Santa." At Aviary, we do Secret Kevin. Why's it called Kevin? Well... it's a pretty long story -- a story that seems to change every year. What we do know is that every year when Secret Kevin Day comes around we get to draw names from a hat and get our team members cool little gifts to remind them that they're awesome. This year's presents were some of the best yet! That's actually a full-sized tree. We're giants. One Wednesday every month, the Aviary team likes to get together and explore our classier side with our office wine-tasting club. For our October wine night, we made our event a little extra special, by bringing in two professional guides: Adam Asher, a wine and liquor expert who helped curate our wine choices for the night, and Jacki Strum, Director of Communications at Wine Enthusiast Magazine who lead our tour. We learned everything from how different grapes are grown to how to take the first sip of a freshly poured glass, an education which left us merry, full, and just a little bit more cultured. Can't wait for the next one! Stocking up on olives, cheeses, and fine deli meats. What a spread! :) I don't know if I'm more excited for the wine or this truffle cheese. Want to have some guidance on your next wine night? Contact Jacqueline Strum at JStrum@wineenthusiast.net and Adam Asher at adamjasher@gmail.com. Want to join the classiest startup on the block? We're hiring! We take fun very seriously at Aviary, so when a contest presents itself in the realm of recreation, be it trivia, ping pong, shuffleboard -- you name it -- we rise to the occasion. Thus, when our neighbors, music media / management hotshots Girlie Action challenged us to bowling, we had to give it a roll. With a couple lucky frames, we managed to pull off a win, but honestly, we had so much fun it wouldn't have mattered either way. Many thanks to Girly Action and Frames for a great night! Wanna challenge Aviary to a duel? Email brian@aviary.com. Love to work hard and play hard? We're hiring! It's nice to get out of the office after a long day, especially when that office is in the middle of a city as vibrant as New York. At Aviary, we love to hit the town as a team, and we have a pretty awesome habit of taking over karaoke bars, pool halls, and all-you-can-eat chicken wing buffets. We're always eager to celebrate the crew's hard work, so when the opportunity to participate in something even more exciting arises, we just can't resist. 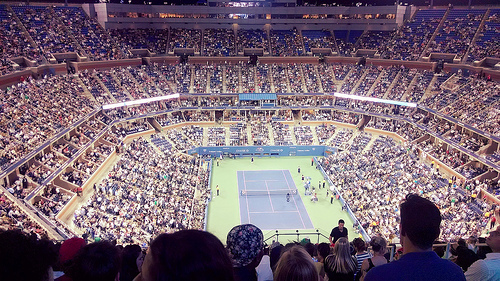 This Tuesday, September 3rd, we took an Aviary field trip to Arthur Ashe Stadium for the 2013 US Open. For many of us, it was our first experience at a Grand Slam tournament, and we were fortunate enough to cheer on the men's and women's 2012 US Open singles champions, Andy Murray and Serena Williams. Welcome to Tobias Peggs, the new CEO of Aviary! I'm excited to announce that Tobias Peggs has joined the Aviary flock as our new CEO! As we move forward, it has become clear to me that the company's accelerating growth is now bringing us into territory that is best handled by someone with a very specific set of skills and experiences tailored to match our B2B strategy. Tobias has deep experience managing accelerated growth in B2B startups, which makes him the perfect leader for Aviary as it really takes off. At OneRiot, he drove fast growth in the business through the distribution of SDKs and business models to a large community of developers. At Walmart, he was responsible for mobile products in international markets, growing the UK market from zero to 50% of typical weekly global mobile revenue inside 12 months. He has built and managed large teams across the globe, having previously worked in the US, Europe and Asia. But beyond his understanding of our developer-focused business, also importantly, he understands what we are doing emotionally. As a former Managing Editor of i-D Magazine, he has a deep appreciation for photography and creativity, which is critical to our culture and mindset at Aviary. Tobias has been a mentor of mine for almost a year now. Shortly after Aviary changed its business strategy to focus on powering third party apps, one of our investors, Mo Koyfman from Spark Capital, introduced me to Tobias. He had a wealth of leadership knowledge that really impressed me and helped me think through our approach to the business as we grew our partnership base. I am certain that those conversations helped steer Aviary towards its current level of success. Going forward, I will be Aviary's Chief Product Officer, focusing on continuing to make Aviary's product offering the most innovative and pure solution on the market. And in my continued role as Chairman, I'll make sure the company course stays true on the path towards democratizing creativity. I'm excited to get the opportunity to work even more closely with a mentor. It represents the opportunity to turn Aviary from a startup with incredible potential into a significant, growing business under Tobias' leadership. So I'd like to officially welcome Tobias to the flock. We'll fly to great places together, as birds of a feather tend to do. Aviary has built the best SDK for photo editing, sharing and monetization. More than 2,500 developers already use that SDK in apps across mobile, tablet and web. In November, Aviary saw 25m unique end users across that developer network. On Thanksgiving Day alone, Aviary's technology helped edit and share more than 15m photos. Meanwhile the company has just topped 2bn total photos edited (up from 1bn as reported in September). Those are big numbers, showing significant growth, and indicating real traction. Partners like Flickr, MailChimp and Walgreens agree, having integrated Aviary into their offerings. Last week, Twitter joined that roll call. Likewise, Aviary is the go-to photo platform partner for many and varied indie devs, including Muzy, Palringo and Recipe Search. When you get to know the company, it's easy to see how they got to this position. A) the team that's been put together to date is awesome and B) the core product rocks. If you're a developer, and you're thinking "photos", you're likely thinking "Aviary". For about a year, I’ve been talking with Aviary’s co-founders Avi and Iz about the B2B direction they’ve been taking their company. We’ve always clicked as people, and I love their big vision of democratizing creativity. Likewise we’ve talked for days about the business potential, especially in the context of a mobile photo space that already seems huge but is really only just getting started. Last month, they asked me to join the company. Through our conversations, it became apparent that some of the experiences I’ve been through and the lessons I’ve learned in my career – especially when CEO of OneRiot – would complement Avi and Iz's strengths as they sought to scale their business and better serve their developer community. One of the hardest decisions startup founders can ever make is to bring in an outside CEO. The fact that Avi and Iz were so clear on why they wanted to do that now was very impressive and compelling. In addition, having Mo Koyfman from Spark Capital as Aviary's lead investor was also a plus. Spark was the lead in OneRiot. They, like me, see the benefit in getting the band back together. So here we are: Avi, Iz, me, a very talented flock at Aviary's NYC HQ, and a board full of brain power, ready to help our developer community create and monetize the best photo apps possible for their users, while taking this company to the next level and beyond. I'd encourage you now to install Aviary’s showcase apps on iOS and Android to see the core product in action, and to start using the service through one or many of Aviary's partners. Also, keep an eye on the Aviary blog and follow Aviary on Twitter for more product, partner and feature announcements – there's a lot of very cool stuff just around the corner. Meanwhile, we’re hiring! As I said, I couldn't be more excited. I feel very fortunate to be joining such a top team who’ve created a great product that is loved by so many developers and photo takers around the world. Now… it’s time to get to work. Join the flock: QA needed! Come work with us! Email jobs@aviary.com to apply or view the full job description here. Looks like we're not the only people interested in having editing functionality to make our dogs look awesome: our friends at Dogsly have integrated Aviary's tools, and The Next Web called the iOS app "an absolute must have" for dog owners. Without further ado, meet our office dogs! Claim to fame: YouTube stardom. Pubby's like a furry Macaulay Culkin, but age has been kinder to him. Favorite Aviary memory: Being treated like a king during his many visits to the office (all Aviary employees are his serfs, and pay taxes in the form of adoration, praise, and being on-call for belly rubs.) Want to know more? Check out Pubby.info to see what he's up to these days. Favorite Aviary memory: Lying in Nam's lap and sleeping, all day long. Being photographed next to Aviary's Startup Bball trophy. Being fawned over by everyone for doing irresistible things like blinking and looking cute. Claim to fame: Being the bounciest, happiest Schnauzer puppy that anyone has seen. Also, being the dog who took the longest to understand that the office glass walls were glass. Favorite Aviary memory: It's a toss-up between eating the whiteboard eraser or scavenging for food in the Aviary "lawn" (read: big green carpet) -- but hey, it's free vacuuming for the office! Claim to fame: For being the most fashionable dog in the office; Kiki sported a fantastic silver jacket at the NYC Startup and Dog Enthusiasts Meetup. Clearly, this chic lady is light years ahead of her compatriots when it comes to accoutrements. Favorite Aviary memory: Being the first office dog to claim the Aviary "lawn" (read: green carpet) as her own... and yes, you know what we mean. Since we can't agree on who's cutest, what do you guys think? Be forewarned: your answers will likely spark some lively crap-talking among the Aviary biz dev team! Dear readers and friends, First off: a much overdue Happy New Year to all of you! In the spirit of starting anew, we're unrolling some changes at Aviary (and based upon our new editor, they're pretty darn nice); our approach to content and community is no different. Over the course of the new few weeks, we'll start introducing you to the members of the team and giving you glimpses of the process behind the product. Plenty of users are familiar with Aviary's editor (in fact, you guys edited over ten million photos this past month), but we have a sneaky suspicion that you may not know much about the awesome people who built it. This year, we'd like to get to know you -- and we'd like you to get to know us. It goes without saying that having a team enamored with the product they build is generally a good sign. A significant portion of the work that we do requires us to know our tool inside and out; naturally, we spend a lot of time using it. I've asked Maya and Nam, two awesome members of our equally awesome team and the infamous duo behind Aviary's own Namaya Party Plannin‘, to explain the process behind their recent edits (unsurprisingly, their iPhones are essentially a fifth appendage). Both of them have pets that we feature regularly on Aviary; Maya's cat, Ethan, has graced the pages of FastCompany, and Nam's dog, Pubby, was a YouTube sensation. "I really think Ethan looks like a handsome little cat model. I used our blemish tool to blur out the area around him and hide the shoe box on top of him. I also slapped his name on there - he's named after a character in one of my all-time favorite movies, Slackers - and added the Ventura effect so you can see his cute little ears. Nam's (obviously) a photogenic guy, so I didn't need to do much. I added one of my favorite Aviary effects, Aqua, to give him a nice vintage feel and make the door look a little scarier. That door leads to the terrifying rusty chain that holds up our elevator, and since the 'Danger' sign on the door got blown out by the sun I added it back in so Nam remembers to be careful next time he's up there." "Pubby, an angel-like creature, is one of my most treasured investments. With a perfect coat, impeccable paws, and a delightful jaw, it's almost impossible to enhance any photo of him. BELIEVE IT OR NOT, I DID. Using auto-enhance, I was able to level out the colors (my bedroom has poor lighting!) and brighten up his little face (OMG CUTE RIGHT?). Step 2. Effects! I chose our Strato effect because I love the subtle retro feel it gives, not to mention it pearls up Pubby's googly eyes! Also, the timestamp on the corner means I'll never forget this moment! OH I DID THE SAME THING TO MAYA TOO, but with the Singe effect! Is she from the 70's now?? I don't know! I think so!" Here's a common one: Where can I edit my own photos? Answer: Aviary's brand spankin' new Facebook app! 'Til next time, stay awesome.